While our present firm was opened in 1932, we trace our roots back to 1898 when John H. Bollin, Sr. opened a real estate company in Columbia. Bollin Ligon Walker REALTORS® is one of the oldest real estate companies in South Carolina. Originally known as The Bollin Company REALTORS, the name was changed in 1994 to Bollin Ligon Walker REALTORS® . Bollin Ligon Walker REALTORS® is both proud of its history and excited about its future. As an independent company with a distinguished record of service in greater Columbia since 1898, we look forward to serving your needs in whatever way possible. Our sales associates average more than ten years experience in the Columbia real estate market. We have three employees that are both support staff for our agents and assist in the operation of our property management division. The shareholders in the firm are Laine Ligon and Andy Walker, and Laine is also broker-in-charge. From the firm’s office at 3008 Millwood Avenue in Columbia, we are ideally located to serve the needs of our clients and customers throughout the metropolitan Columbia area. Our sales associates are experts in most areas of real estate brokerage. We are very experienced in the marketing and sales of new homes, single-family homes, condominiums, multi-family properties, investment properties, lots, acreage, and land. Our property management division currently manages hundreds of rental properties, commercial properties, and parking lots. As the situation dictates, we practice exclusive seller agency, exclusive buyer agency, or disclosed dual agency. 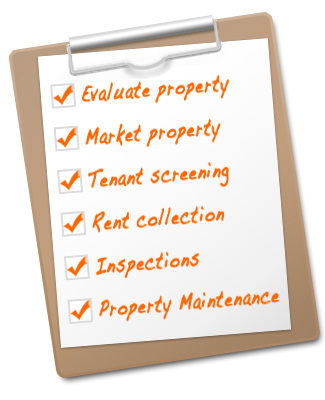 The following is a list of the tasks property managers commonly perform for owners.